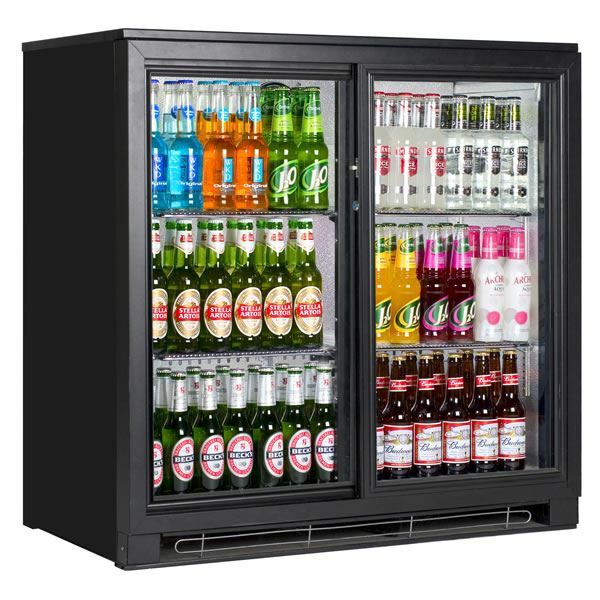 The Tefcold BA20 Double Door Bottle Cooler has fan assisted cooling, 2 shelves per door section and lock fitted as standard. 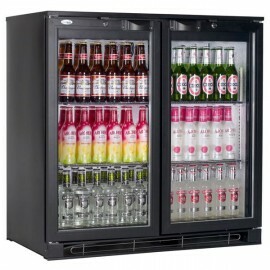 Perfect as a back bar chiller this unit can easily hold 180 x 300ml bottles. 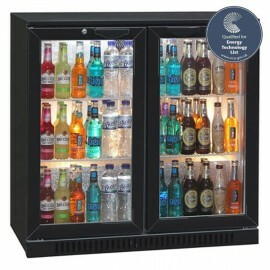 Fantastic value double door back bar bottle fridge with 182 bottle capacity. The unit has black lami.. The Tefcold BA20 Double Door Bottle Cooler has fan assisted cooling, 2 shelves per door section and .. 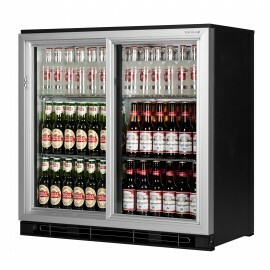 The Tefcold BA20 AL double door bottle cooler has fan assisted cooling, two shelves per door se..